Today is the launch of #AltAusterity, a new, international research collaboration of which Tax Justice Network is a partner. The project aims to stimulate public debate on the subject of austerity though high quality research. It is a response to the lack of evidence which has underpinned the current policy agenda on austerity. Over the coming years we will explore austerity in terms of cuts to spending (‘fiscal consolidation’) and revenue (e.g. tax cuts), but also public sector restructuring and labour market reforms. Although there is substantial evidence that austerity harms rather than aids economic growth and that it disproportionately hurts the most vulnerable of society, it remains salient and prominent in everyday political and policy conversations in many countries. Despite the growing public dissatisfaction with the policy, as expressed through the ballot box and protests. Alternatives to austerity appear far less frequently or consistently. In this project we will work with partners in Canada, Ireland, the UK, Germany, and Australia to challenge this major failure of public policymaking. Full details of the project are at http://altausterity.mcmaster.ca, and the launch press release is below. Hamilton, ON – the ‘Austerity and its Alternatives’ team is proud to publicly launch their project, striving to make research accessible to policy communities so as to achieve meaningful impact. We define austerity as a network of policies including fiscal consolidation (e.g. spending cuts), public sector restructuring, and labour market reform. The effects of these policies across advanced economies has been quite consistent: healthcare, education, social transfers, and public sectors workers are often the first targets of cuts, while labour market reforms aim to reduce worker protections and wages. Despite robust evidence which indicates that austerity has a negative effect on economic growth and disproportionately affects the vulnerable, it is still highly salient and part of everyday political and policy discussions. Yet, alternatives—including revenue restructuring, changes to tax expenditures, and changes to infrastructure spending—are not reflected in policy choices and discussions nearly as much. 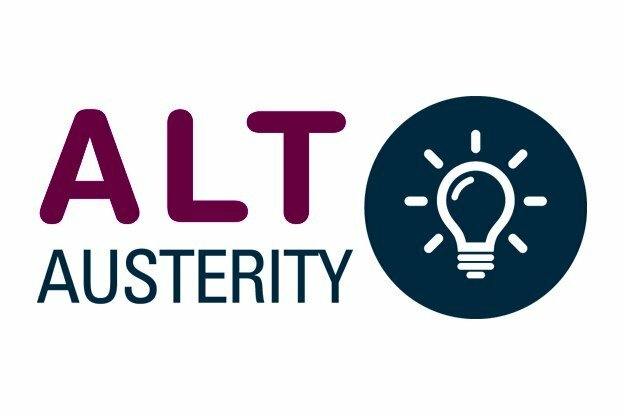 The ‘AltAusterity’ project brings together researchers and practitioners from academia, independent institutions, and NGOs in Canada, the UK, Ireland, Australia, and Germany to stimulate greater conversations about alternatives to austerity. The participating institutions include the Think-Tank for Action on Social Change (TASC) in Ireland, Carleton University and the Canadian Centre for Policy Alternatives (CCPA) in Canada, the Tax Justice Network (TJN) and the University of Hull in the UK, and the Friedrich-Ebert-Stiftung (FES) in Germany. The project aims to expand the boundaries of research, data, and insights on austerity, its effects, and alternatives so as to include broader audiences and achieve real policy impacts. Our approach is based on clarity, variety in outputs, collaboration, a diversity of voices, and a focus on everyday life. AltAusterity launches with a website (https://altausterity.mcmaster.ca/), a Twitter page (https:// twitter.com/AltAusterity), and an email newsletter (on our ‘about us’ page). New content will be uploaded on Tuesdays along with a weekly digest of austerity news on Fridays. On the site you will find information about us, our research, media, and contact information. We hope you find our work useful and interesting, and that you’ll join in #altausterity conversations!